Zen Buddhist priest of the Rinzai-Shu Sect. Yuhoh was born in Yabe Village of Fukuoka Prefecture. In 1936, he became the chief priest of the Ryusen-Ji Temple in Kobe. In 1956 he became the 142th chief administrator (Kancho) of the Rinzai-Shu Eigen-Ji Temple School. From 1973, Yuhoh went to East Germany every year to missionize Zen Buddhism. He deceased in 1982 at the age of 83. Description This scroll was drawn between 1956 and 1982 (During the drawer was in the position of the chief abbot of the Eigen-Ji Temple). It is slightly foxed overall as it was drawn years ago. There are spots, folds, tears, grazes and amotions. 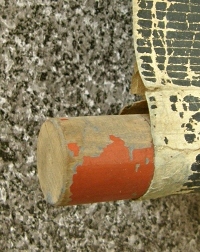 The both roller ends are lacquered, but those are exfoliated. Although, Daruma (Bodhidharma) is drawn powerfully and artistically. 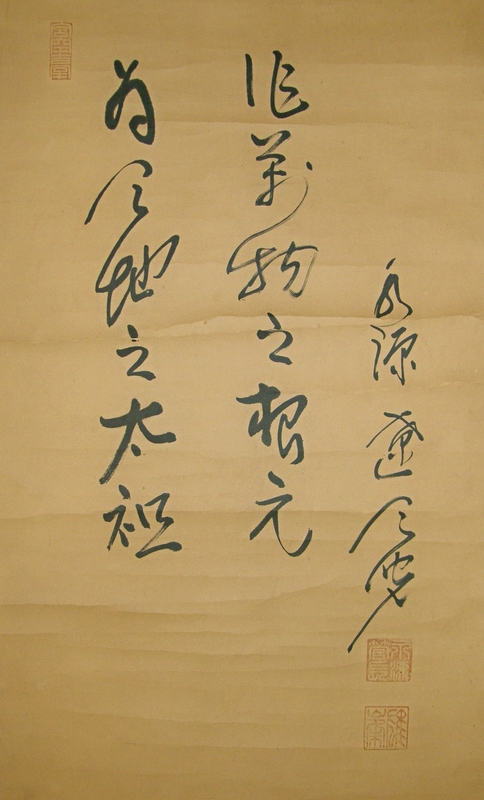 A Kanji phrase regarding Daruma is also written at the top. 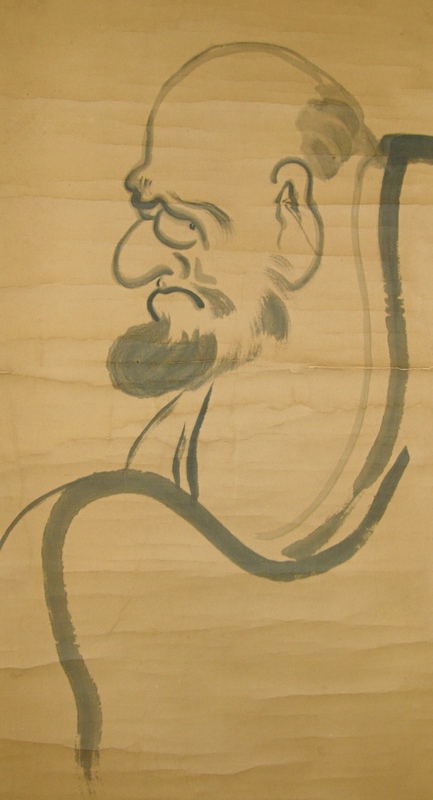 Bodhidharma is regarded as the patriarch of Zen Buddhism in China. He is said to have come from India and lived in a cave nearby the Shaolin Temple where he faced a wall in meditation for nine years.